When "Oh, wow!" 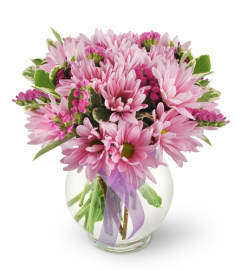 is the reaction you're going for, this gorgeous, cheery floral gift is the order of the day. 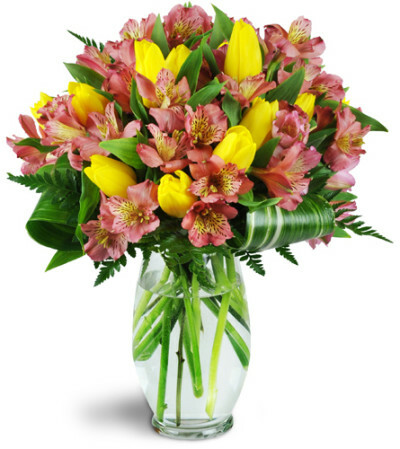 Bright and beautiful yellow tulips are off-set by sweet pink alstroemeria in a large, stunning arrangement that's sure to impress. 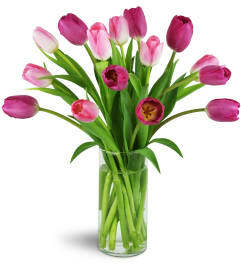 Perfect for friends, lovers, and everything in-between, this gift will be remembered for many years to come. Yellow tulips and pink alstroemeria are arranged with decorative leaves in a decorator-inspired clear glass vase.